Press Release for immediate release February 6, 2018. Umergence Launches World’s First Crowd-Sourcing and Crowd-Funding Network. Umergence announces the launch today of its new crowd-sourcing and crowd-funding platform. The Umergence platform allows entrepreneurs and investors to work together on one site - building their ideas, forming teams, launching campaigns and raising capital. The design of the site encourages “wisdom of the crowd” philosophy so that any idea or product can get better over time - through good user feedback. Ideas and teams can rapidly iterate on Umergence. Best ideas are voted up and good work becomes visible. This results in reduced startup risk, more streamlined tasks and better, more functional teams. Aspects of the site will be equally useful to investors, who can watch the growth and development of prospects, and skilled workers, who can find short or long term work contracts. Umergence makes it possible for entrepreneurs, investors and established companies to do their work together on one site. 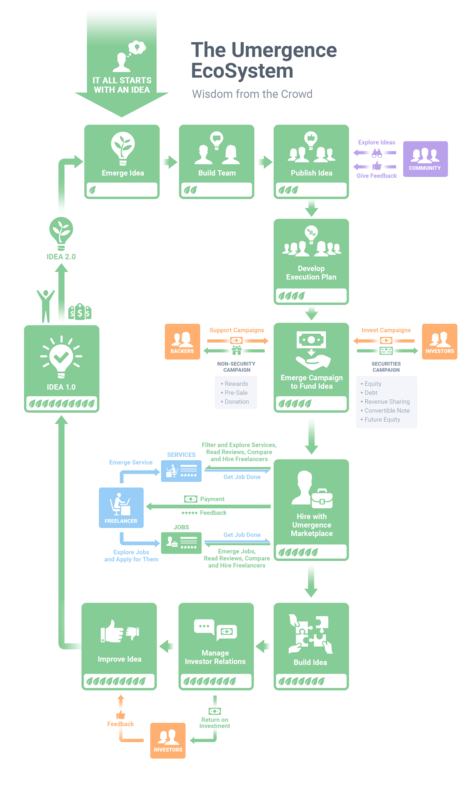 Entrepreneurs can use one set of tools to build their ideas, form teams, launch a campaign and raise capital. Investors can track progress of teams or ideas in real time, scouting worthy investments. And employers can find and hire validated employees. Until now, there hadn’t really been one platform where all such groups could work together. Over the last twenty years the internet massively expanded communities and connections as never seen before. As founders David Logan and Jeffrey Ciarcia recall, this left many people in a state of information and “connection overload,” and made it difficult to organize in the startup community. 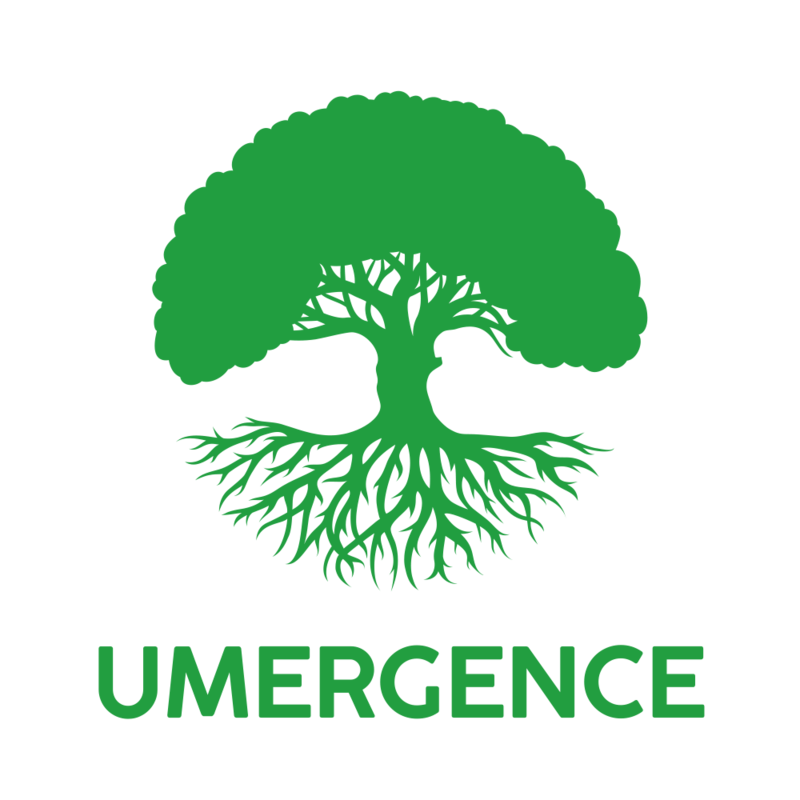 Seeing the disconnect between all the talent, ideas and intellectual property that was out there and the inability to turn such ideas into viable products and companies, the two formed Umergence. The platform would bring everything back into focus with clear objectives, organizing people and ideas into strong, cohesive working groups. The best ideas would emerge into viable products and companies. “We wanted to create a platform to channel these connections and technology into real productivity that is meaningful and fulfilling for people,” said CEO and Cofounder David Logan. Rather than contributing ideas and comments in non-productive social media environments, Umergence would offer users the opportunity to streamline and apply their thoughts and ideas. Time and effort would result in products and services that could directly contribute to society. Fast forward to today. The platform offers a unique “power of the crowd” aspect to quickly iterate business ideas and raise capital. Umergence is basically “collectively intelligent,” using a process of sorting ideas similar to Reddit, with up-down voting. Information is also tagged and sorted into categories which are immediately searchable - making it easy to form communities of like-minded people. The site was designed to be especially useful to creative, driven, entrepreneurial-minded individuals and existing business owners looking for a productive network. Jan 31, 2018 - Medium Article: Is the future we’re building the one we want?